This is probably totally inappropriate, but you seem to be the most knowledgeable Filemaker individual about. I purchased FM9 advanced and found it needed to run on Windows XP, obtained a new machine with Windows XP and loaded FM9 Advanced, worked fine. Uninstalled FM9 Advanced for other reasons, and attempting to reload same could not launch, contacted FM and after several conversations with them they admitted this problem has arisen in the past and the problem probably lies in the font library, believing this was the problem, reloaded font files with no effect, still will not launch. Works fine on other machines. Thought you may have encountered problem in the past, I understand if this is not an appropriate request. I'm not a Windows user, so I couldn't really help you troubleshoot something like this. It is possible it is a font issue but it could be something else entirely. FileMaker does look at the font library as it loads and corrupted fonts can interfere with the loading of FileMaker. 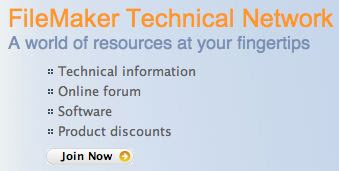 You might want to go to FileMaker's Web Site and choose the KnowledgeBase section under the Support options. I did a quick search for font and it came up with 7 pages worth of information. If any of you other readers have ideas or a similar situation with a resolution, please let me know and I’ll forward it on. Older PostSoftware Publishing: What Type Of Solution Are You Planning?